If you look up Service dog on the internet, 6 of the 8 sites that come up are about registering your dog as a service dog and taking your dog everywhere. It makes it seem like all you need to have a service “dog” is a decently trained pet (apparently the term dog can mean bird, snake, cat, turkey etc), some money, and abracadabra, your animal can go anywhere. Some of these sites are free, but most cost anywhere from $25-$150 for a service animal packet. Once this process is complete, most people think they are free to take their beloved pet anywhere they want. Sadly, these people are breaking the law. And while some realize it, others do not. Once again this is illegal and is not how you “get” a service dog. Summer is a fun time for the whole family, including the family dog. And outdoor barbeques and trips to the ice cream parlor are often part of that fun. But stop and think before sharing your summer treats with your canine best friend. Many common human foods and ingredients are harmful to dogs. Of course, an all-time favorite treat is ice cream, but please don’t share that cone with your pup and don’t let him/her lick the bowl. Here are two of the three reasons why. 1. Chocolate: A lot of pet owners know chocolate is bad for dogs, but they may not know just how harmful it can be. In very small quantities, it’s probably not a big deal, but why take the chance. In moderate quantities (and dark or baking chocolate is worse), it can cause vomiting, diarrhea, excessive thirst, restlessness and agitation. More extreme symptoms that may lead to death are abnormal heart rhythms, tremors, and seizures. The main culprit is the chemical, methylxanthine, which is also in other caffeinated substances. So if you spill coffee grounds or beans, be sure to keep Fido away from them until you get them cleaned up. 2. Dairy: Dogs lack the enzyme needed to digest lactose, so milk and other dairy products can cause digestive problems and diarrhea. And some dogs can be allergic to dairy. If the dog is not allergic to them, small quantities of cheese and yogurt are usually tolerated okay. 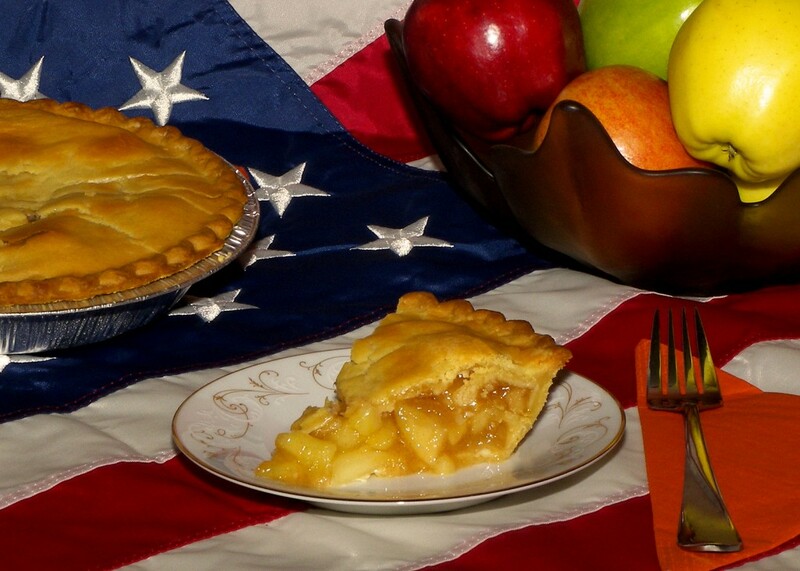 Cookies and Cakes and Pies, Oh My! 3. 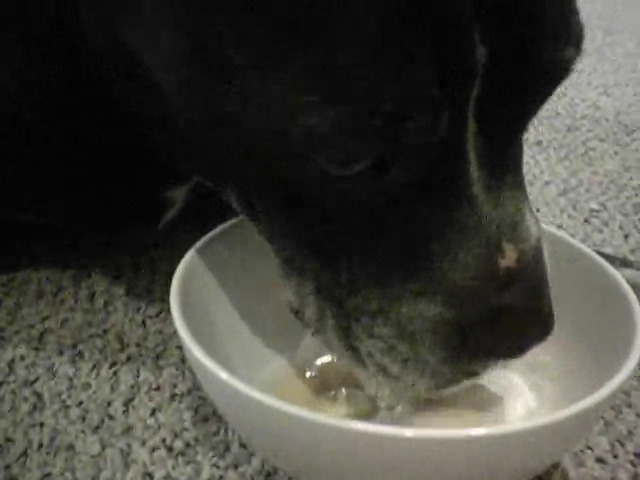 Sugar (and substitute sweeteners): Sugar is the third reason why ice cream isn’t a great idea for dogs. It causes for them the same problems it creates for humans–obesity, tooth damage and diabetes. But substitute sweeteners are far, far worse! They often contain Xylitol, which is extremely toxic to dogs. Even small amounts can cause low blood sugar, seizures, liver failure, even death. 4. Baking powder, baking soda and yeast: These release gases when they encounter moisture and heat, which is what makes breads and cakes rise and a small clump of sticky dough morph into a tasty light cookie. 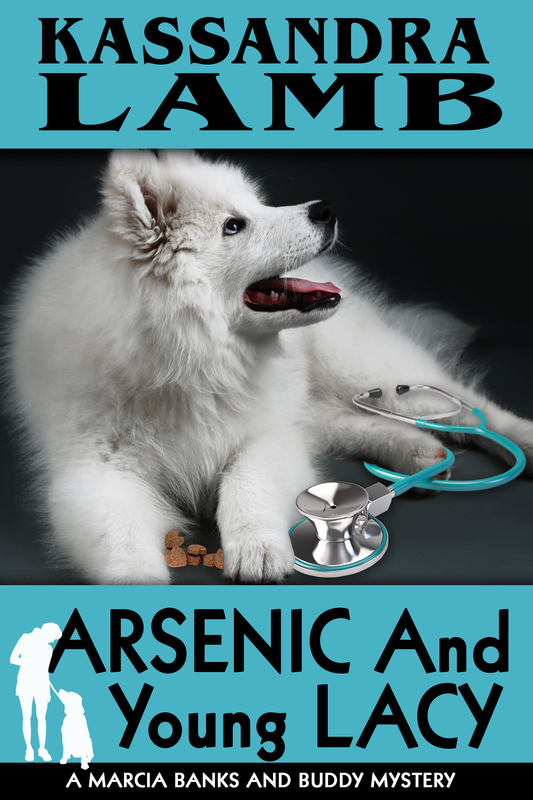 But when these substances are in your dog’s moist and warm stomach, this gaseous reaction can lead to electrolyte abnormalities (low potassium, low calcium and/or high sodium), and if in large enough amounts, muscle spasms and/or congestive heart failure. In small quantities (as in a corner of a cookie, not the whole thing), baked goods that have been cooked are probably not a problem but never, ever feed your dog raw dough. 5. Nutmeg: Dogs are attracted to this fragrant and tasty spice just as humans are, but anything more than small amounts of it can be harmful to them. Milder doses (say, a teaspoon or two that falls on the floor while you’re baking and is licked up by the four-legged vacuum cleaner) can cause vomiting and diarrhea. Higher doses (if Fido gets into the spice rack and chews through the plastic container), can result in disorientation, hallucinations, increased heart rate and blood pressure, dry mouth, abdominal pain and even seizures. 6. Nuts: In addition to the choking hazard, some nuts are harmful to dogs. As few as 6 macadamia nuts, for example, can cause weakness, depression, vomiting, difficulty walking, tremors, abdominal pain, lameness, and stiffness. 7. Raisins: Raisins and grapes again may pose a choking risk. But the bigger problem is that even in small amounts, they can cause vomiting, lethargy and depression in dogs. 8. Onions and Garlic: That hamburger or shish kabob may seem harmless, and indeed the meat itself is. Even a grilled tomato is okay for Fido (the tomato plant is poisonous but the fruit itself is fine). But don’t give him a chunk of onion or garlic. Indeed, the meat itself may not be okay if it has onion or garlic powder added to it, as burgers and marinade sauces often do. Onions and garlic, even in fairly small amounts, can lead to weakness, vomiting, loss of appetite, dullness, difficulty breathing. And if consumed over a period of time or in large enough quantities, anemia, red blood cell breakdown and death may occur. Any form is harmful–cooked, uncooked, powdered, etc.–even the little bit found in baby food (sometimes given to older dogs or those with digestive problems). 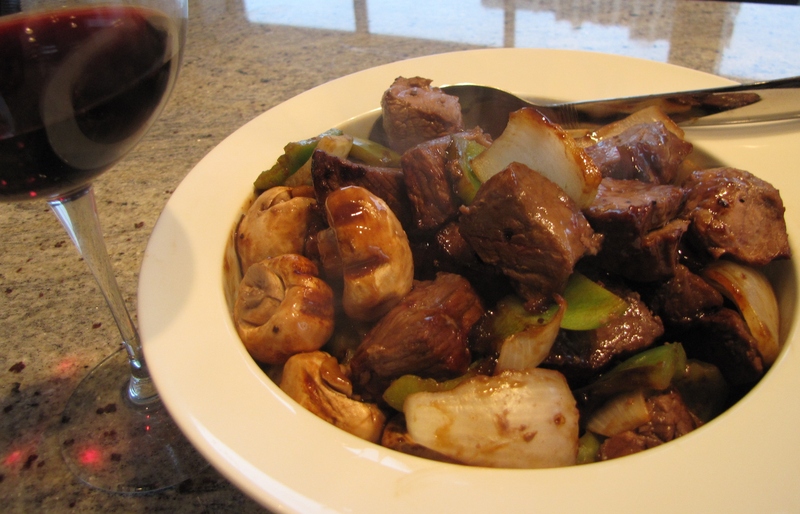 For this reason, dogs should not be given meats, stews or soups prepared for humans (homemade or store bought) since onion and garlic are almost always used to add flavor to these dishes. 9. Corn on the Cob: Corn isn’t the best thing in the world for dogs as it’s a bit hard to digest and high in natural sugar content (dogs on corn are equivalent to children full of sugar). But the corn is not the biggest problem here, the cob is. Dogs don’t know they’re not supposed to eat the cob and humans looking on might not think anything of it as Fido chows down on it as if it were a bone. After all, dogs chew up all kinds of things, rawhide treats and deer antlers and even their toys. But corn cobs are indigestible and chunks of them can block the intestines, leading to vomiting or dry heaving, straining during defecation, loss of appetite, stomach pain, whimpering, trembling, restlessness, and increased or decreased drinking. Some of the symptoms from these foods will dissipate on their own, but it’s best not to take chances. If you notice any of these problems, especially after a cookout or other summer get-together, get your pet to a veterinarian as fast as possible (some of these things are also problematic for cats). Also, this is hardly a definitive list of all things bad for pets that are good for humans to eat, so before giving your pet any people food, check it and its ingredients out online or consult your veterinarian. Note: I will be posting about dog related topics periodically. If you’d like to be notified of these posts, please subscribe to the blog. (second subscription option at top on right) Thanks!! Marcia (pronounced Mar-see-a, not Marsha) likes to think of herself as a normal person, even though she has a rather abnormal vocation. 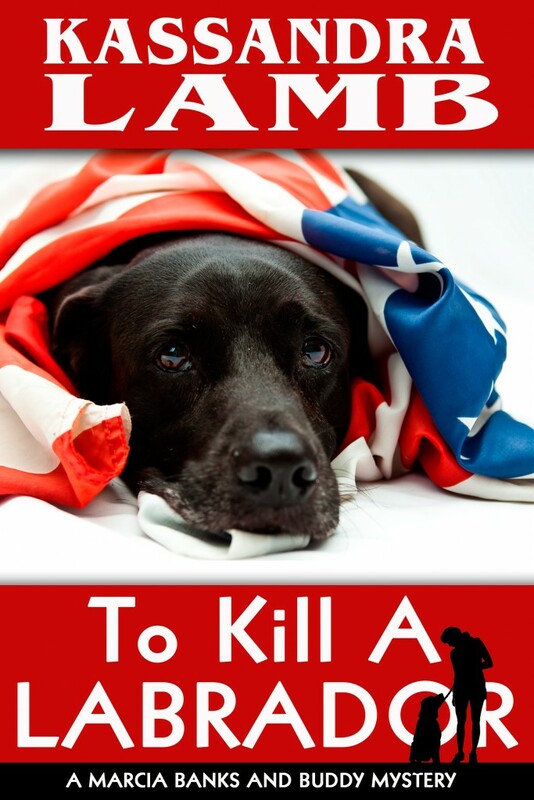 She trains service dogs for combat veterans with PTSD. And when the ex-Marine owner of her first trainee is accused of murdering his wife, she gets sucked into an even more abnormal avocation–amateur sleuth. Yay!! Book 2 in my bestselling new series is out!! Missing on Maui is Live!!! 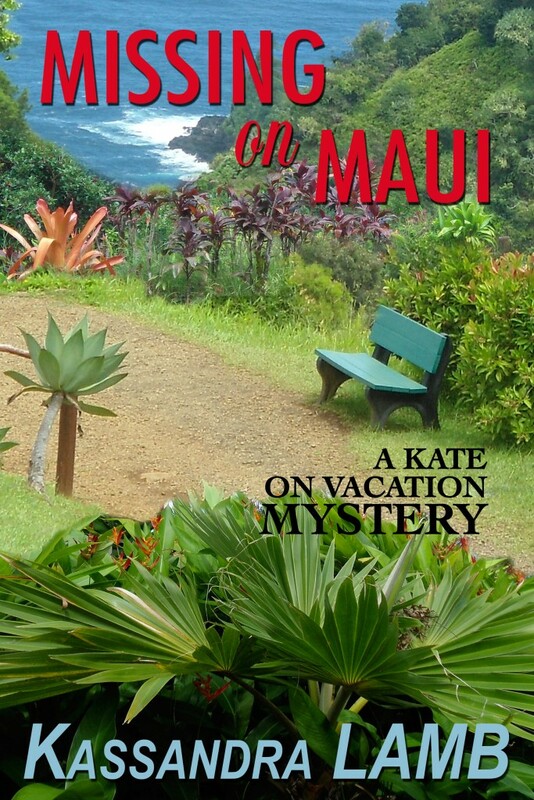 The newest Kate on Vacation cozy mystery is now available ~ $0.99 for a limited time! Days before Kate Huntington-Canfield is scheduled to leave for her niece’s wedding on Maui, she receives a frantic call from said niece. Amy’s mother–Kate’s rather difficult sister-in-law–is at it again, alienating the groom’s family and even the wedding planner. Can Aunt Kate come early and run interference? Hawaii is supposed to be a relaxing paradise, but Aunt Kate is kept busy locating a new wedding planner (the delightful Pali Moon), refereeing between Amy and her mother and chasing down errant wedding party members… Oh, and facing off with a psychopath. Apple Kobo Coming soon on Nook!! YAY!! The 1st Marcia Banks and Buddy Cozy Mystery is Here!! Marcia (pronounced Mar-see-a, not Marsha) likes to think of herself as a normal person, even though she has a rather abnormal vocation. 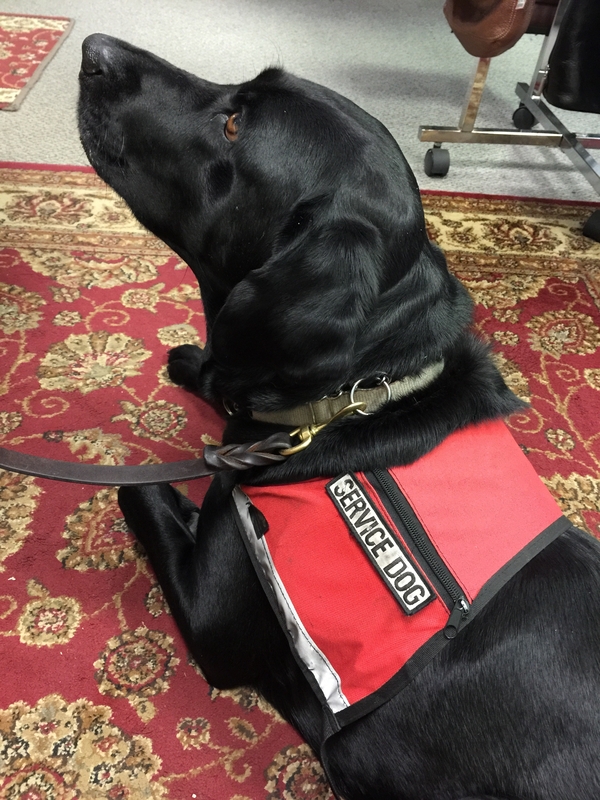 She trains service dogs for combat veterans with PTSD. Then the ex-Marine owner of her first trainee is accused of murdering his wife, and Marcia gets sucked into an even more abnormal avocation–amateur sleuth. MERRY CHRISTMAS, EVERYONE!!! I have some specials for you ~ load up your own or a gift e-reader with seven great mysteries for just 2 dollars!! Travel to exotic places and solve intriguing mysteries, all without leaving the comfort of your favorite reading chair. Three stories from the Kate on Vacation cozy mystery series, all for the price of one. 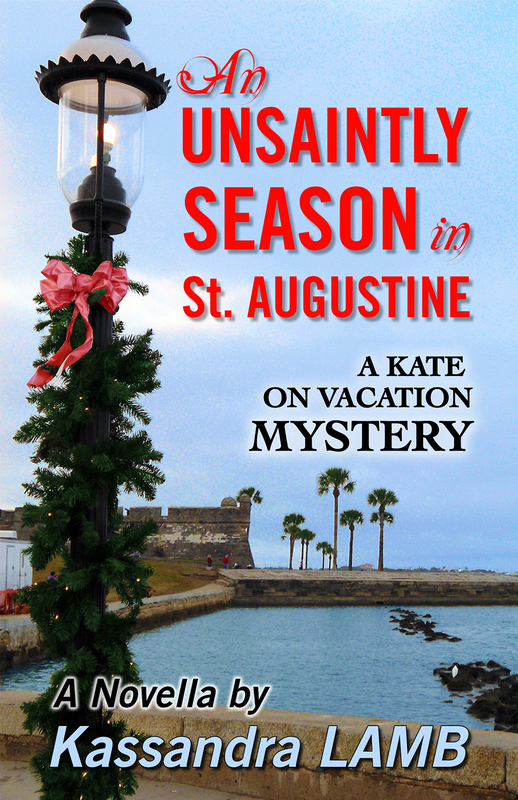 An Unsaintly Season in St. Augustine ~ Even on vacation, Kate Huntington can’t seem to avoid other people’s troubles. While in St. Augustine, Florida for the Christmas holidays, she and her PI husband get caught up in trying to find a friend of Kate’s parents who’s gone missing. They soon discover that this isn’t just a case of a senior citizen wandering off. Can they reunite the elderly man with his wife before Christmas, or will others who mean him harm find him first? 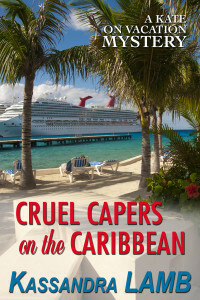 Cruel Capers on the Caribbean ~ Join Kate for a Caribbean cruise and a locked room mystery. On board, she befriends socialite Cora Beall, who is having relationship problems. When Cora’s corpse is found in a cabin secured from the inside, the ship’s captain assumes it’s suicide. Kate is skeptical as the evidence points more and more toward murder. But how did the killer get out of the locked room? Ten-Gallon Tensions in Texas ~ Town secrets, an old nemesis, and a corpse–what else will show up at Kate’s husband’s high school reunion in Texas? New disputes are heaped on top of old animosities, tempers flare and Skip ends up stumbling upon a dead body. Trying to uncover the murderer leads Kate and Skip to uncover some long-buried secrets instead, and their names just might end up on the killer’s must-die list. Just $0.99 ~ for a limited time! A Kate Huntington Romantic Suspense Thrillogy! 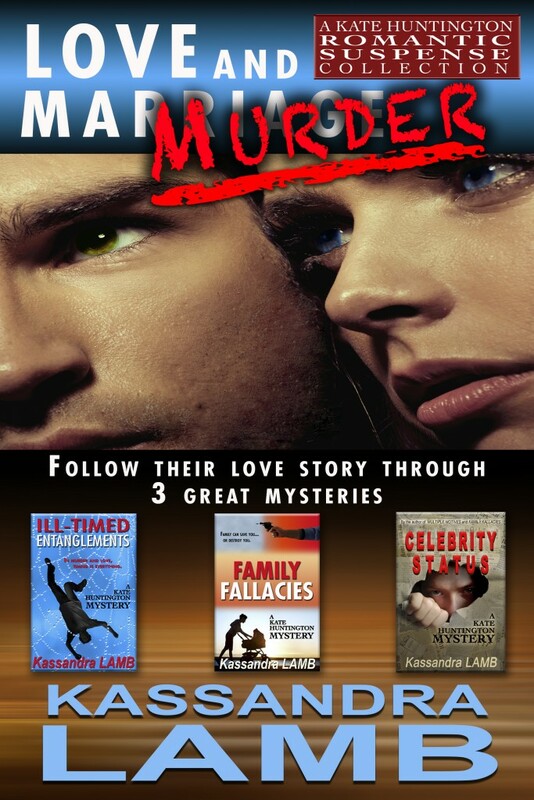 These three books from the ongoing Kate Huntington mystery series follow Kate’s new love interest from the sweet budding of the romance to a major challenge that threatens to destroy their dreams. Newly widowed Kate Huntington is sure that romance is a thing of the past for her. How could anyone replace her beloved husband? But when she reconnects with the hunk of a bodyguard who protected her from her late husband’s killer, she isn’t sure of anything anymore. The man is now a private investigator, and he’s just as drop-dead gorgeous as ever. But it’s way too soon after Eddie’s death. There’s only one thing that P.I. Skip Canfield knows for sure. He’s fallen hard for the young widow Kate Huntington. What he doesn’t know is legion. Can his love banish the ghost of her dead husband? Can he win her despite the disapproval of her male best friend? And most important of all, can he stop three killers bent on their destruction? 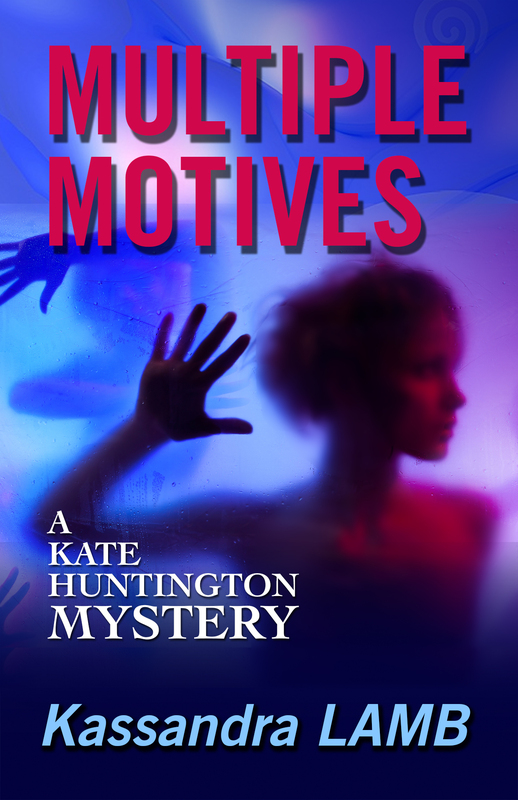 AND of course, Multiple Motives (Book 1 in the Kate Huntington Mysteries) is FREE!! Now available for Nook for free as well! Over one hundred 5-star reviews on Amazon! Psychotherapist Kate Huntington has a near-perfect life, until a killer rips it apart. She and her good friend, lawyer Rob Franklin, must determine who is holding a mutual and murderous grudge against them… and doesn’t seem to mind if others get caught in the crossfire. I hope you and yours have a wonderful Holiday Season!! FINALLY!! 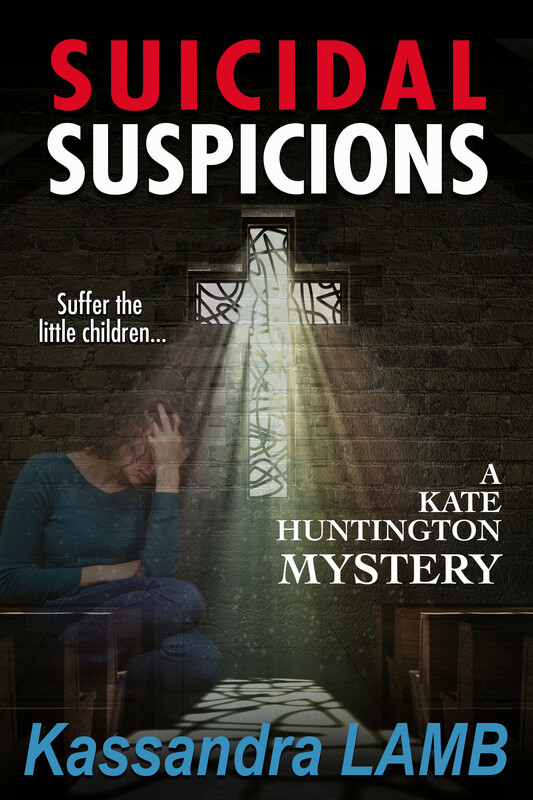 Suicidal Suspicions, Book 8 in the Kate Huntington Mysteries is done!! It’s now available for preorder on Amazon, Kobo and Apple (links below) and will be available elsewhere soon. Release day is Oct. 27th!!! 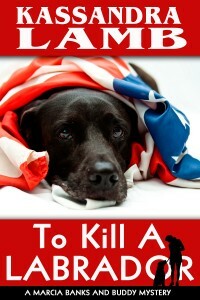 Melinda VanLone of Book Cover Corner has produced another great cover. Tada!! Psychotherapist Kate Huntington is rocked to the core when one of her clients commits suicide. How can this be? The woman, who suffered from bipolar disorder, had been swinging toward a manic state. The client’s family blames Kate and they’re threatening to sue for malpractice. She can’t fault them since she blames herself. How could she have missed the signs? Searching for answers for herself and the grieving parents, Kate discovers some details that don’t quite fit. Is it possible the client didn’t take her own life, or is that just wishful thinking? Questioning her professional judgement, and at times her own sanity, she feels compelled to investigate. What she finds stirs up her old ambivalence about the Catholic Church. Is her client’s death somehow related to her childhood parish? When she senses that someone is following her, she wonders if she is truly losing it. Or is she getting dangerously close to someone’s secrets? AND I have 10 Advanced Review Copies I’m giving away, to the first ten people who comment below (be sure to leave your email address). All I ask is that you write an honest review and post it on at least one major e-retailer on or soon after release day (Oct 27th). Ten-Gallon Tensions in Texas is Now Live!! 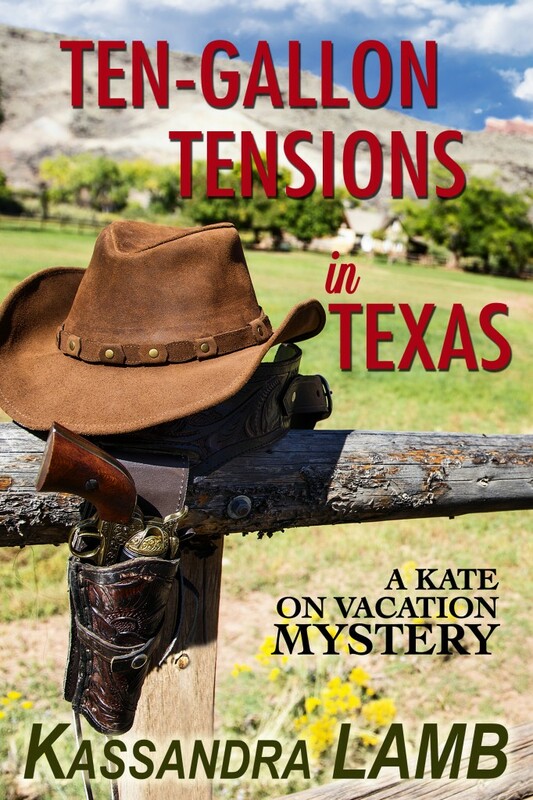 Ten-Gallon Tensions in Texas, Book 3 in the Kate on Vacation series, is now live on Amazon and other retailers. Just 99¢ today only!! Just 99¢ today! Goes up tomorrow. 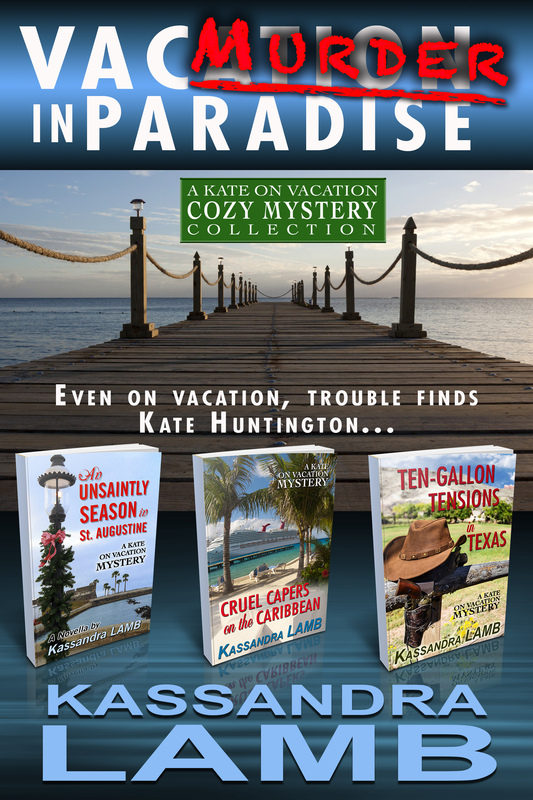 Also #1 in the Kate on Vacation series, An Unsaintly Season in St. Augustine and #2, Cruel Capers on the Caribbean are only 99¢ each until the end of March. Get all three novellas today for just $2.97!! It is now available for preorder from Amazon, for just 99¢ during the preorder period. It goes up after its release on 3/24/15! 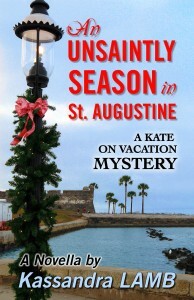 Also #1 in the Kate on Vacation series, An Unsaintly Season in St. Augustine is FREE on Amazon, 3/10 thru 3/14! 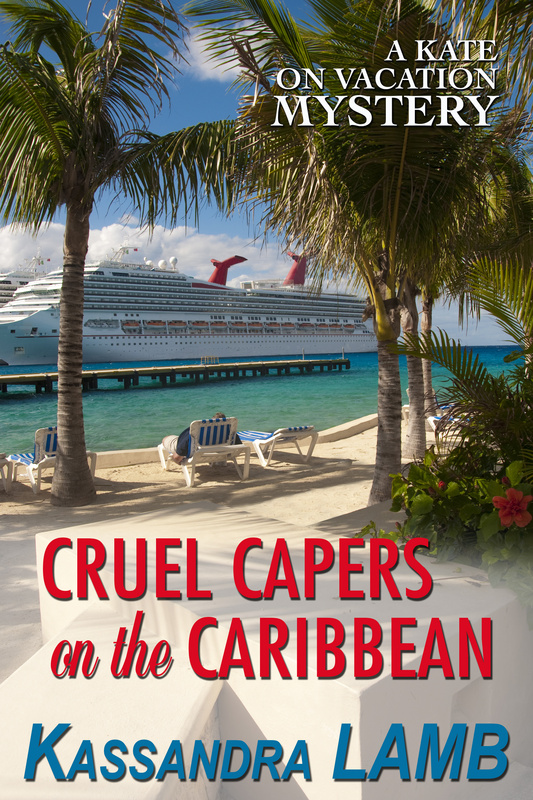 And #2, Cruel Capers on the Caribbean is only 99¢ until the end of March. All three novellas for just $1.98. WOOT! !